Who's gonna get me a cupcake? I'd love to thank all my readers especially my friends who have always shown great support in my blog and kept it going even when I had absolutely no time to update it. At the beginning of this year, I was thinking that this would be the last year for the blog but with all this encouragement and exposure, I just couldn't retire it. So here's to many years to come and may you always come back and find fresh posts! 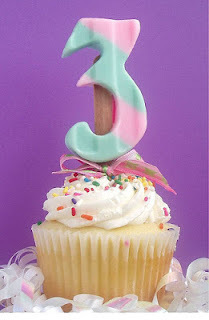 Happy Birthday to my favorite blog!!! A very happy birthday to you :) I wonder what that means in human age though... I would say 1 blog year is 9 human years? So happy 27th birthday! The entire Roadster diner team would like to wish your blog a happy birthday! We look forward to reading more posts! The Deek Duke team wish you a blissful and wonderful birthday! We are looking forward to reading new and exciting posts in the many years to come! The entire Deek Duke Team!